EXCLUSIV CDTI SERVICE HISTORY ! CAMBELT CHANGED ! 99% FINANCE APPROVAL ! 99% FINANCE APPROVAL ! COMES WITH SERVICE HISTORY AND PREVIOUS MOT HISTORY ! CAM-BELT CHANGED AT 72,000 MILES ! MOT EXPIRES JULY 2019 WITH NO ADVISORIES ! OIL SERVICE ! 12 MONTHS AA BREAKDOWN COVER FREE !, Service history, Excellent bodywork, Black Cloth interior - Excellent Condition, Tyre condition Excellent, 17in Structure Wheels with 225/55 R17 Ultra-Low Profile Tyres, CD 300 - CD Player with MP3 Format/Stereo Radio and Auxiliary-In Socket, Cruise Control, Driver Information Centre, Electrically Operated Front Windows with One-Touch Facility, Tinted Glass, 7 Speakers, Remote Control Security Alarm System, Single-Zone Electronic Climate Control (ECC) Incorporating Air Conditioning, Air conditioning, Alarm, Airbags, Alloy wheels, Automatic Lighting Control, 3x3 point rear seat belts, 12-Volt Auxiliary Power Socket in Front Centre Console and 12-Volt Auxiliary Power Socket Behind Front Seats, Folding rear seats, Electric door mirrors, Front Body-Lock Diagonal Seatbelt Pretensioner System with Front Seatbelt Force Limiters and Five Lap and Diagonal Inertia-Reel Seatbelts and Drivers Lap Belt Pretensioner System, Traction Control, Twin Electrically Adjustable/Heated Door Mirrors, Twin Sunvisors Incorporating Illuminated Drivers and Front Passengers Vanity Mirrors with Covers, Third Brake Light, Steering Wheel Mounted Audio Controls, Remote Control Central Deadlocking, Multi-Function Trip Computer, Child locks & Isofix system, Daytime Running Lights, Height adjustable drivers seat, Immobiliser, Leather-Covered Gear Knob, Lidded Glovebox and Storage Box on Drivers Side Lower Facia. 5 seats, Metallic Silver, Experian auto check clear, ALL CREDIT/DEBIT CARDS ACCEPTED, FINANCE ARRANGED, PX WELCOME, £99 DEPOSIT RESERVES THIS CAR, CALL US NOW TO VIEW THIS CAR NOW ON 0191 477 8203 DAYTIME OR 07786 679 880 ANY TIME 7 DAY'S A WEEK. 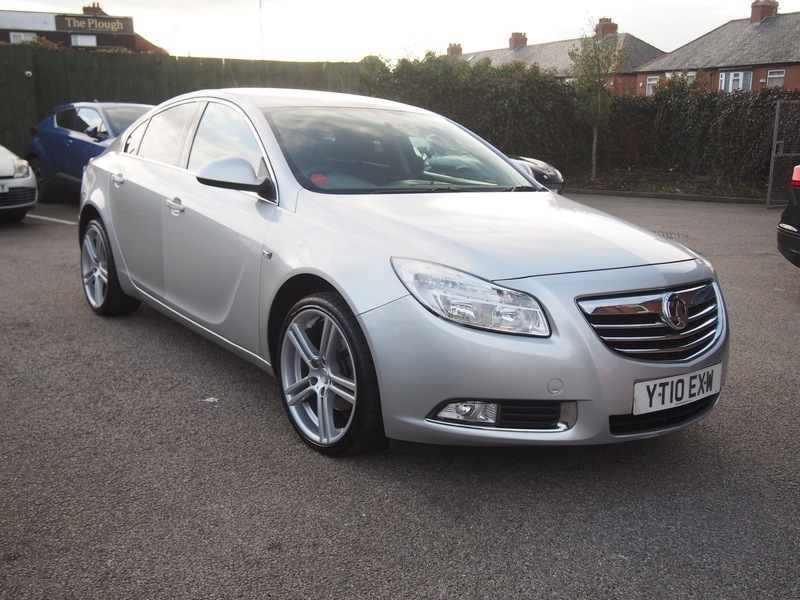 I would like to make an enquiry about your 2010 Vauxhall Insignia EXCLUSIV CDTI SERVICE HISTORY ! CAMBELT CHANGED ! 99% FINANCE APPROVAL !